Our San Diego video camera crew was hot on the trail of Britain’s Prince Harry, as he criss-crossed the county in search of burgers, brew…….and yes, babes! The 27-year-old military officer is stationed in nearby El Centro for two months of Apache helicopter training. But on weekends, he’s been making the 90-mile trek west for fun and nightlife in Coronado, downtown San Diego and….our very own Solana Beach! Your intrepid San Diego field producer and San Diego video crew have been way ahead of the competition, scoring interviews, photos and video for TV’s “The Insider,” several days before “Good Morning America,” “Today” and People Magazine joined the story. HarryWatch — definitely not a royal pain! A Fashion Video Production – We’re Their Perfect Fit! We got lucky with our latest Los Angeles fashion video production — literally! Lucky Brand jeans called on our San Diego video crew to shoot a series of employee training videos inside their flagship store at The Grove shopping center in Los Angeles. The LA-based denim brand goes to great lengths training its sales associates to help shoppers find perfect-fitting jeans. Using our video segments, employees at Lucky Brand’s 177 retail stores will learn tips and techniques to help customers add jackets, sweaters, accessories and other complementary items — all without costing a fortune. Now that’s what we call lucking out! 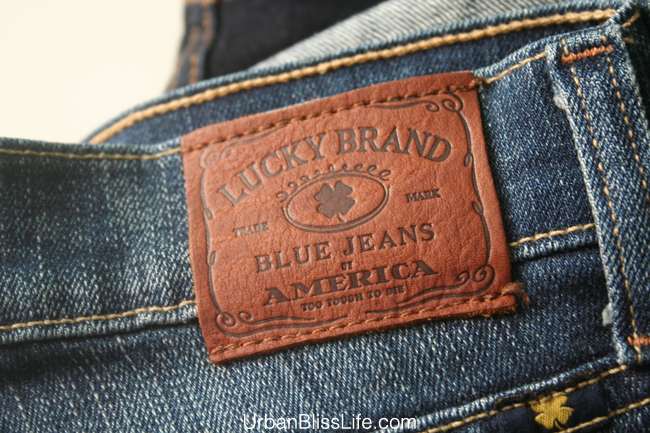 Lucky jeans are much more than just denim and grommets; they’re a true blue American icon. Staying true to the rich heritage — and authentic, all-American spirit — of denim, Lucky Brand began crafting great-fitting, vintage-inspired jeans in Los Angeles in 1990. The distinctive Lucky look by literally, ripping, fraying, sanding, patching and washing by hand — gives them true character and soul. They added authentic hardware, personalized touches and playful details, and an American legend was born.Their jeans are made for the free-thinker, the artist, the dreamer; they’re made to dance, work, run, jump, play and rock ‘n’ roll (just like you). Their inspiration doesn’t just come from the rugged workwear of denim pioneers, but from the free spirit and laid-back lifestyle of Southern California. They find inspiration everywhere, from the secluded outlooks of Big Sur, to the old-school tattoo parlors of Venice and the beautiful beaches of Malibu. They reference music, art and photography — old and new — to create truly unique pieces that you’ll wear over and over again. You’ll find Lucky Brand all over America — in 209 stores (and counting) — as well as select department stores and online at LuckyBrand.com. Always in style, Solana’s fashion video production! Our Los Angeles Video Production Company was called on for a video project with Scott Caan, who stars as “Danno” on CBS-TV’s “Hawaii Five-O.” Scott took part in an hourlong question-and-answer session with filmmakers and fans that we set up at the Los Angeles Film School in Hollywood. With our two cameras rolling, Scott shared insights about his film and TV career and offered advice for film students. Among those in the live audience was Scott’s dad, legendary actor James Caan, who happened to be seated right next to our Los Angeles field producer! The webcast was carried worldwide on ustream.com, livestream.com and Openfilm.com. Scott Caan is an advisory board member of Openfilm, an online video technology and content delivery platform serving the independent film market. Solana Productions has more than 15 years of experience producing, shooting and editing projects for high-profile TV shows and corporate clients. With 14 EMMY Awards, a Gracie Award and many other accolades, our team brings high standards and professional expertise to every San Diego video production. Our Los Angeles video production company provides crews for smaller shoots and complete AV support for live productions. Our latest San Diego sports video production has taken us across the wide world of sports — from the LPGA tour to international soccer! In beautiful Rancho Mirage, your intrepid San Diego field producer and her San Diego video crew joined “Entertainment Tonight” host Mary Hart at the Kraft Nabisco Celebrity Pro-Am Golf Tournament. We covered Mary’s amazing golf skills and her participation in a storytelling benefit for local kids, “Reading On the Green” — our interviews and footage airing March 29 on “ET.” That same day, another of our San Diego video crews scored major points at Qualcomm Stadium, where 60,000-plus fans packed the stands for the Mexico vs. Venezuela exhibition soccer match. Shooting for Degree Men, one of the sponsors, our crew worked every angle on the field and snagged interviews with soccer stars Felix Hernandez and Jared Borgetti. For your next San Diego sports video production call Solana Productions. For the 10th year in a row, our Palm Springs video production crews stormed the star-studded Palm Springs International Film Festival Gala with all-access passes that took us up front, backstage, behind the scenes –and just about everywhere else. This Palm Springs video production put us in first position on the red carpet, where your favorite San Diego field producer grabbed interviews with arriving stars Jake Gyllenhall, Natalie Portman, Ben Affleck, Mark Wahlberg, Amy Adams, James Franco, Colin Firth, Jennifer Lawrence, Carey Mulligan, Robert Duvall, Aaron Eckhart and more. During the gala, we moved backstage for “Entertainment Tonight” host Mary Hart’s exclusive interviews — and shot behind-the-scenes with Mary for a segment on the making of our “ET” segment in Palm Springs. The festival, created 22 years ago by the late Palm Springs Congressman and music icon Sonny Bono, was taking place just as news was breaking about the tragic shootings of Arizona Rep. Gabrielle Giffords and 20 others in Tucson. I conducted an emotional interview about the tragedy with Sonny’s widow, Rep. Mary Bono Mack — who is now married to Florida Rep. Connie Mack. Choking back tears, Bono Mack, a Republican, told me about her friendship and positive working relationship with the Arizona Democratic congresswoman. That interview and our film festival coverage aired on Monday’s “Entertainment Tonight.” Our behind-the-scenes story on the film festival will be broadcast this weekend.